Are Gonzo and Grover related? 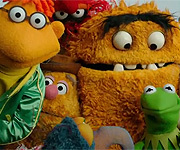 Discussion in 'Classic Muppets' started by Amanda Taylor, Mar 29, 2012. Sometimes I wonder if Gonzo and Grover are cousins since they seem to have alot in common. Has anyone else ever thought about that? I've also noticed similarities when I was younger, like their sur colors and the fact that both names begin with a G.
maybe they were distant relatives. I used to think that Gonzo and Grover were like, long lost brothers! I used to think the Grover puppet was just a naked Gonzo with new head and arms. But no. Gonzo and Grover are NOT related. I've been thinking the exact same thing. They're both blue furry Muppets. They both have adjectives describing their names (Super Grover, Great Gonzo). They have similar raspy voices. 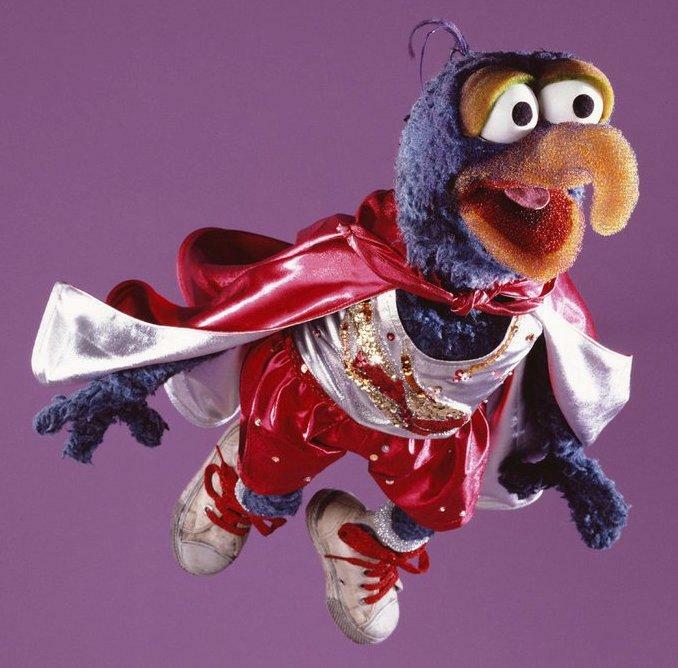 If Gonzo had ever been established as a 'monster' rather than a 'whatever,' it would be a very distinct possibility. I honestly wouldn't be suprised. If you don't believe me, just compare these pictures! I have wondered that for a long time. Both Gonzo and Grover have furry blue hands that need to be moved by wires. I wonder that too, but I think Ernie and Lew Zealand would be more likely kin, cousins perhaps, or brothers. I really want to know if Grover and Super Grover are related. I mean, they look and sound like they could be twins! It's too bad we never see them together. Something tells me they'd be great friends! 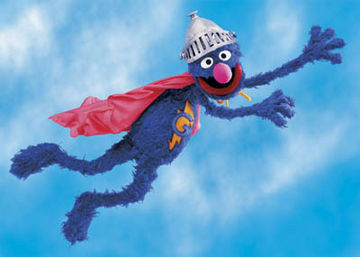 How could Grover and Super Grover become friends if the latter is just Grover in a costume? I've never really thought about Grover and Gonzo being related, though. Although, they do both share that kind of cloudcuckoolander-ish personality. I remember a few years ago when people were thinking Janet and Michael Jackson could be the same person. But, that turned out not to be true. When it comes to Grover and Super Grover, I can really see it in the eyes. They are defiantly related. Did Grover and Gonzo appear together? I know, they both appear in a Muppet Family Christmas and the Muppet Movie, but where they are seen together and possibly talk to each other. Well, that would make Gonzo a monster rather than an alien as established in MFS. You never know. Maybe it's time for a fan fic about this. I think it's possible. Like someone else in this thread said, Ernie and Lew Zealand being related also sounds like it's not too hard to believe. 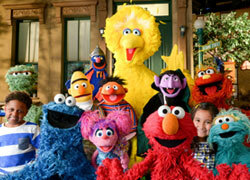 Gonzo and Grover are both blue and adventurous, and Ernie and Lew are both orange and funny. Perhaps the writers had those ideas in mind.